If you’re after home décor with a timeless appeal, look no further than Amalfi. Based in Australia, this respected brand produces everything from dinnerware to homeware, giving every item a distinctive attention to detail. Amalfi truly are leaders when it comes to style and design. Adorn your dinner table with only the finest cutlery and take a look at Amalfi’s Avery Gold Cutlery Set. Containing four forks, four knives, four spoons and four teaspoons, this set makes for a perfect family purchase – and their high quality constructions ensure they’ll last you for a long time. 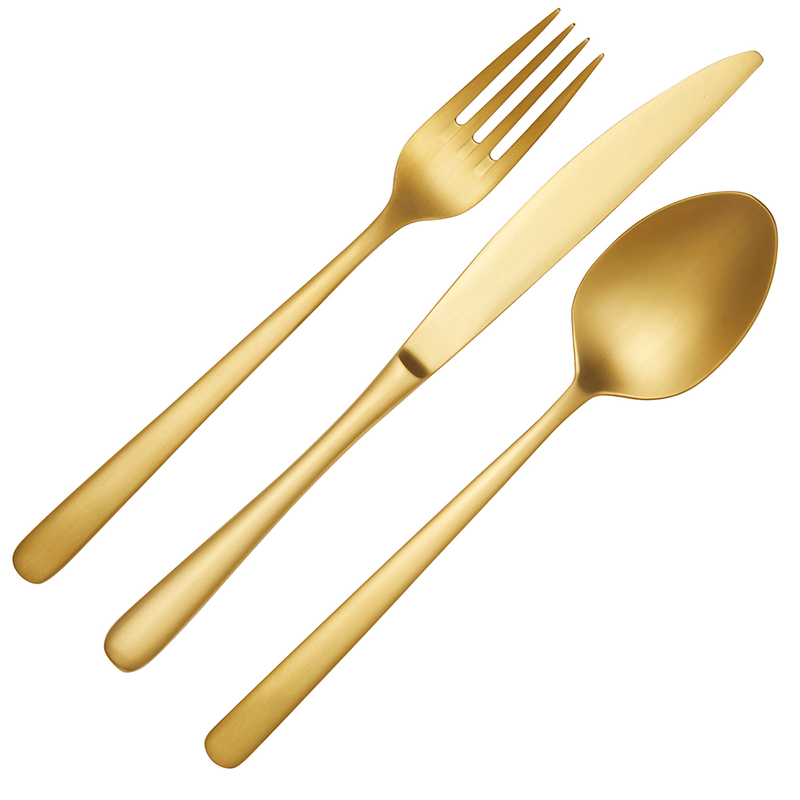 The gold colouring gives these cutlery items a distinctive look that we think you’ll agree is pretty hard to resist. Features a distinctive gold colouring coating. 4 x Table Forks – 20cm. 4 x Table Knives – 24cm. 4 x Table Spoons – 20cm. 4 x Teaspoons – 14.5cm.